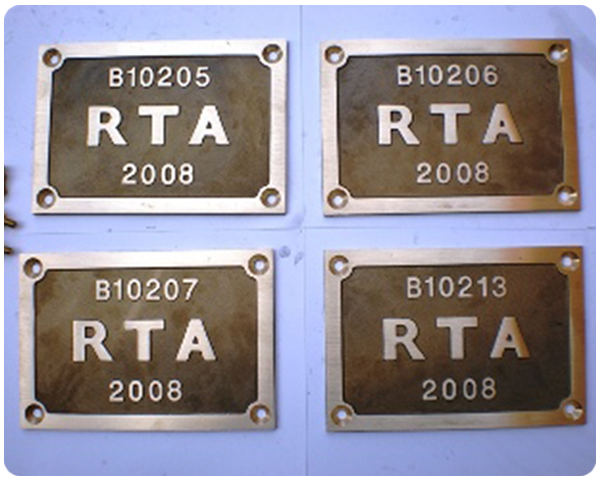 Cast Plaques, Name Plates, Bridge Plates, Memorial Plaques, Ceremonial Plaques. 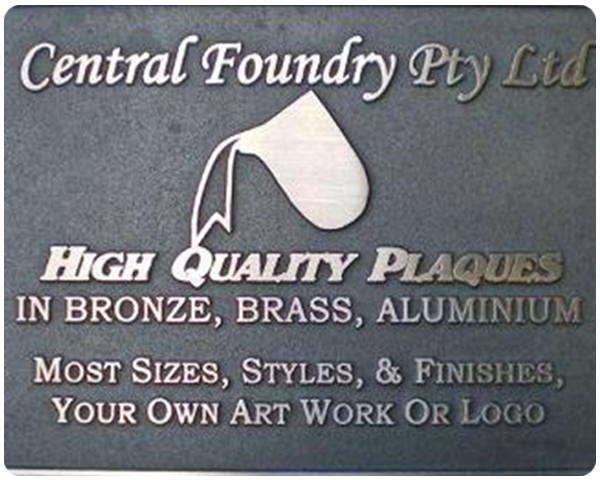 ferrous metals including, Bronze, Manganese Bronze and Aluminium. 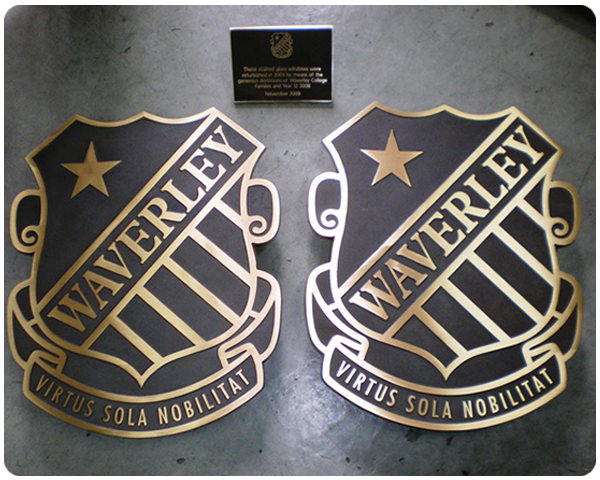 Plaques can be cast to almost any size you require. 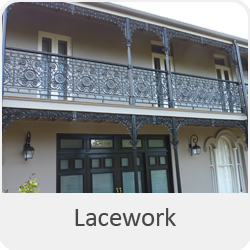 They can be made using most types of fonts, with Black or White images or with clip art incorporated into the design and layout. 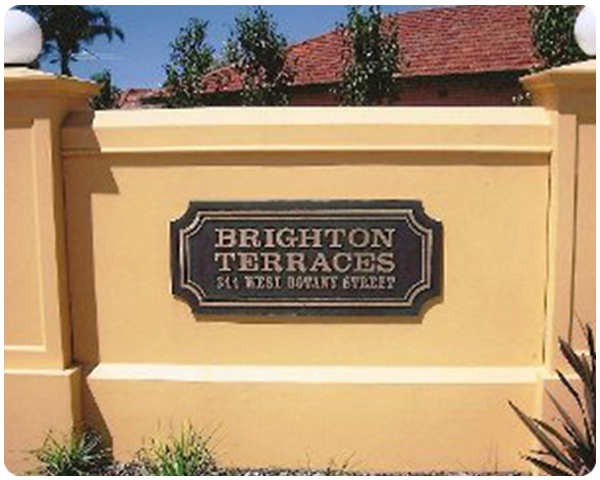 A large variety of borders and shapes can be cast to individual requirements. 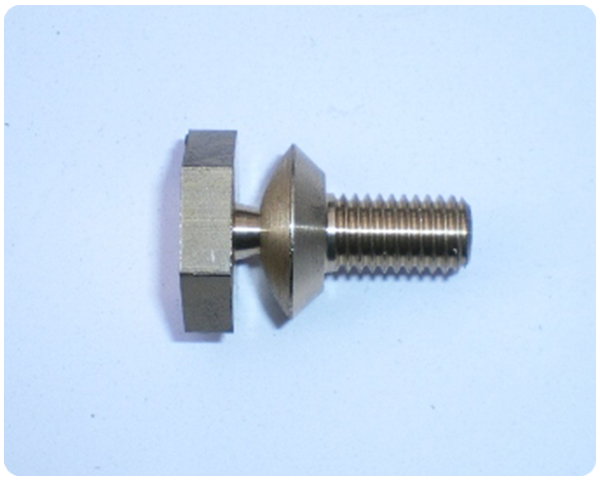 Materials used in these types of castings are high corrosion resistant admiralty Bronze or Wear resistant Manganese Bronze. 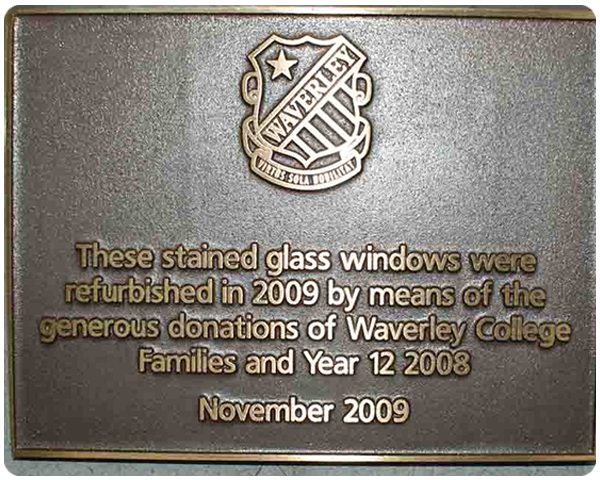 Even Aluminium Plaques can be made to individual requirements. 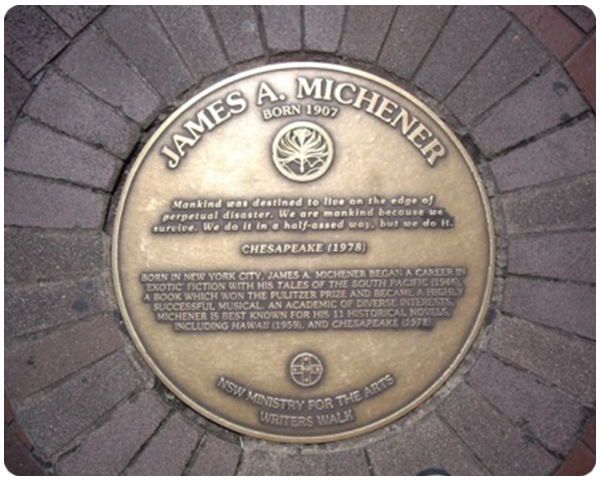 Final finishing includes a Bronze Patena applied to the background which highlights the natural sheen of the raised text when fine linished on the surface. Lugs are usually cast onto the back face to allow for vandal proof fixing. 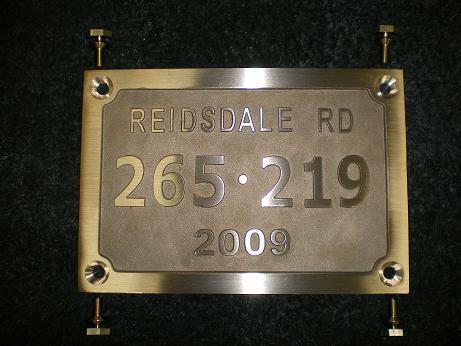 We produce high end Custom made plaques in a variety of styles and designs. 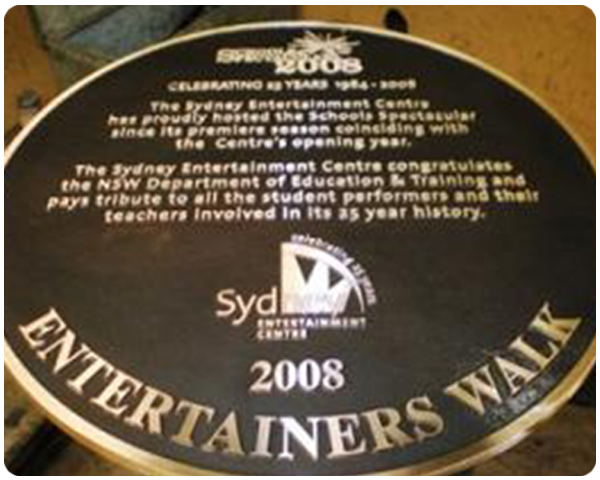 Circular Quay walkway Ground mounted Plaques were all cast by Central Foundry. 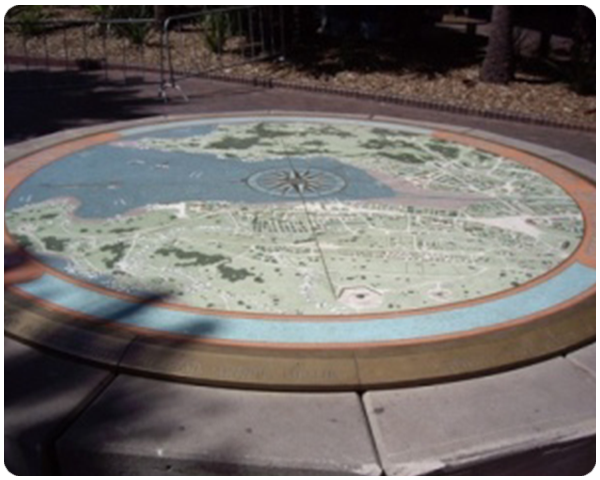 We cast 22 of these high quality castings for the Circular Quay Council.